I hope everyone had a wonderful weekend!! I had a great time this past weekend! 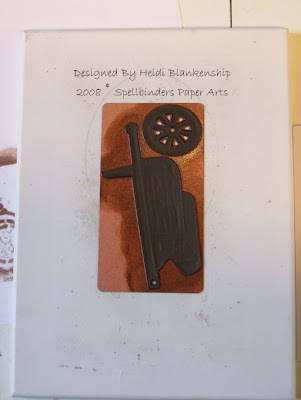 I went with a couple of friends, Miriam and Delores to the Rubber Stamping and Scrapping Expo in St. Paul and then we met up with my friend and fellow Spellbinders DT member Donya and her aunt Michelle. We had a wonderful day hanging out together and going to all of the booths. I met some wonderful people including Dave from RubberNeckers Stamp Company, the people from Marco's Paper and Gina from Gina K Designs. I also met a few ladies who recognized me from my blog and the Spellbinders DT so that was really fun too!! 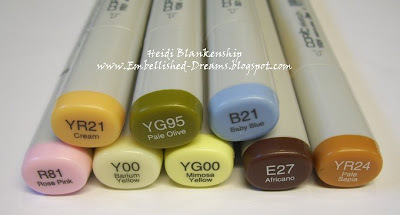 While we were there we did some shopping, you can't go to an Expo and NOT buy something!! LOL!! Then after we left the show we drove down to Burnsville and we all met up at the Olive Garden for a late lunch. The food was scrumptious as always!! It was an all around great day with girlfriends!! 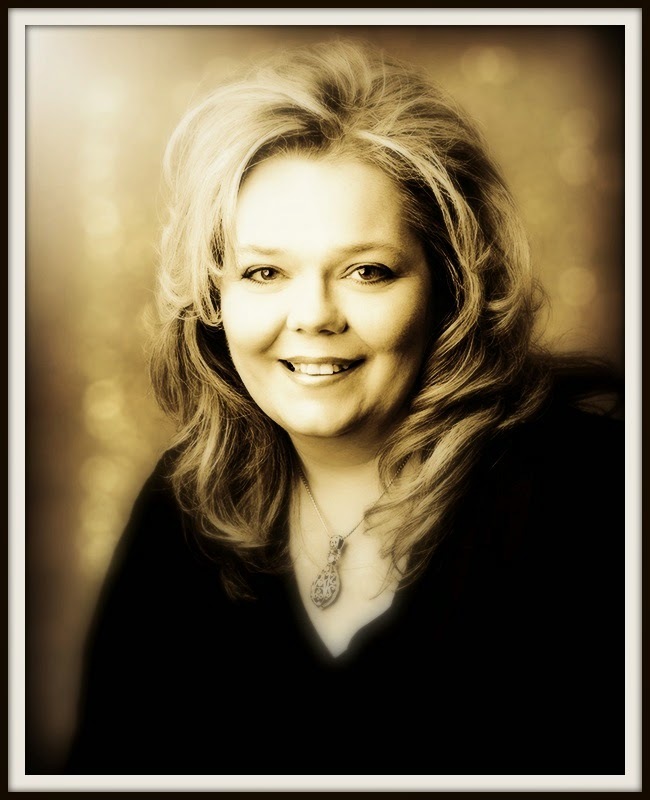 This past weekend my Mom had her Birthday--HAPPY BIRTHDAY MOM!! I want to share with you the card that I made for her. The Designer Paper is from the Basic Grey-Stella Ruby Collection and it is soooo yummy!! I love all of the papers from that collection! 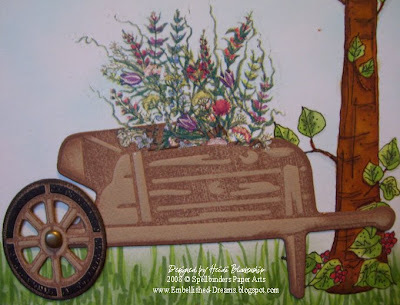 In the upper left corner I stamped a flourish stamp from Fancy Pants-Bella Brush stamp set using Brilliance Coffee Bean pigment ink and I also sponged around the edges of the paper. 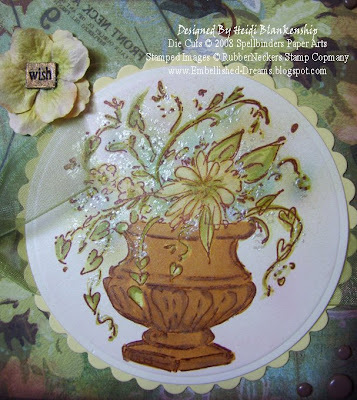 I stamped the Hearty Vase Stamp from RN on the Nestabilities Large Classic Circle and backed it with a Large Petite Scallop Circle from Spellbinders. 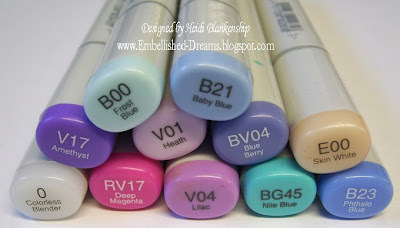 I used Brilliance Coffee Bean ink to stamp the image and colored it in using the Copic sketch markers and ABS. I also added some touches of sparkle to the flourish stamp and the floral arrangement using the Spica Gold glitter pen from Copic. Then I added all the fun embellishments-ribbon, brads, prima and a word charm. On the vase of flowers I wanted it to look like there was babies breath in the floral arrangement so I added some liquid pearls from Ranger using a stylus. This is very easy to do, just use the small end of the stylus and dip it into the liquid pearls and then lightly tap on your paper. Here is a close up of the vase. Thanks so much for stopping by today!! I have several new designs that I will be showing you over the next few days so be sure to stop by often! I just got to thinking I never did post the cards and a gift box that I made for Mother's Day--sounds like a plan for tomorrow! I hope your Monday was Marvelous!! 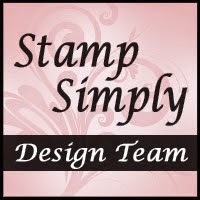 Today I want to share with you a New Spellbinders Technique called Reverse Stenciling. 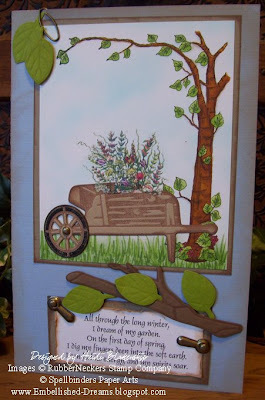 Michelle Klomp, one of the Spellbinders DT members came up with this fun & easy new technique. This is a technique that I did on the birthday card from my last post. 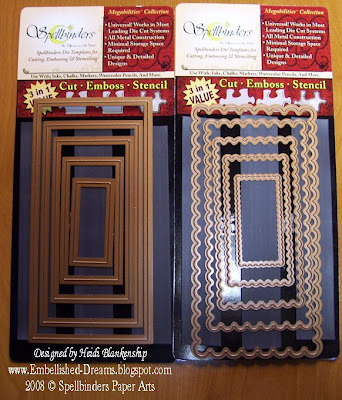 As I'm sure a lot of you already know with the Spellbinders dies you can Cut, Emboss & Stencil. 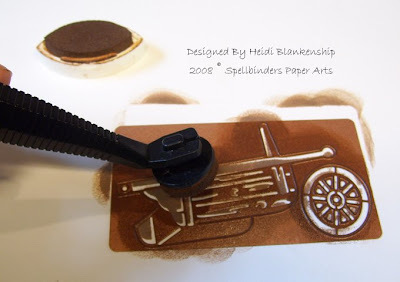 If this is something that you didn't know here is how you would do the stenciling, after you cut &/or emboss you turn the die over to the smooth side, then you can use ink & a sponge to do the stenciling. Doing this will add even more detail to your die cut. Here is a picture of basic Stenciling. 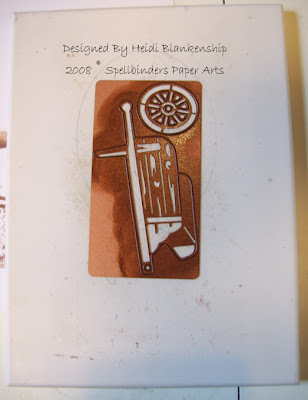 To do the Reverse Stenciling first you make one pass through the Wizard to do the cutting. Then you remove the die cuts from the die. Placing the die with the cut side up (ridges) ink the inside part of the die. After you are done with the ink put the die onto the white cutting mat & then carefully place the die cut back into the die. To protect the mats from getting ink all over place a piece of scrap paper on top of the die, then the tan embossing mat & another white cutting mat and put it through the Wizard. Here is a picture showing three different styles of the die cuts. 1. Cut & Embossed 2. Cut, Embossed & Stencil 3. Cut, Reverse Stencil & Emboss Just as a note, you can also use Copic markers and airbrush system to do the stenciling. Like I said this technique is really fun and easy but I love the different effect it gives the die cut. What do you think? Yesterday I was finally able to have a fun play day and let me tell you it was way over due! Last week I got a package from Spellbinders with lots of fun new dies & yesterday was the first chance I had to open them up and play around. Here is one of the cards that I made yesterday. In my package I received the new MegaNestabilities which are long rectangles, classic and scalloped. I used the largest scalloped rectangle to make a shape card. These are really easy to make, take a piece of fold CS and let the die hang over just a bit on the folded edge and run it through the Wizard. When you are doing this you might want to run it through twice since it is cutting through two pieces of CS. These cards will fit perfectly into a 3-5/8 x 6-1/2 envelope. 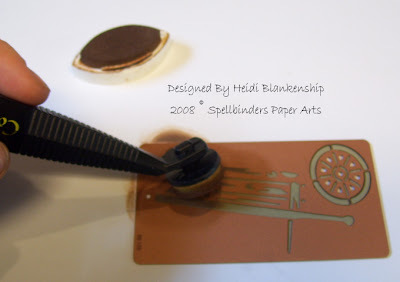 The stamped image Celtic Goddess is from RubberNecker Stamp Company. I cut out an oval using the large classic oval nest and before I removed the CS I stamped the image using Graphite Black Brilliance ink. The wings are from the ATC card die. I used Cryogen White CS for both the oval and the wings. I really love the little bit of shimmer this CS has, it's not too overpowering. If you look at the close up picture you can see the shimmer on the face of the goddess image. The crown is Grungeboard from the Elements Swirls set. I used distress inks and some metallic silver ink to color the crown and then added some silver stickles around the swirls and some rhinestones for bling. 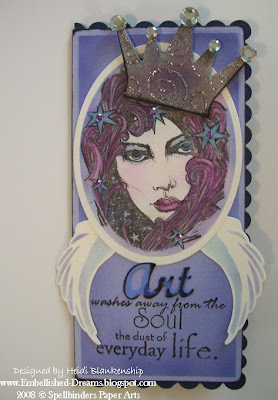 The sentiment is from Hampton Art Stamps. Thanks so much for stopping by! I hope you enjoyed the tutorial and if you make any cards using the Reverse Stencil Technique I would love to see them so please leave a link to your card in the comments. Have a Terrific Day!! To long, if you ask me!! I have been keeping very busy with Spellbinders DT projects, orders and life! 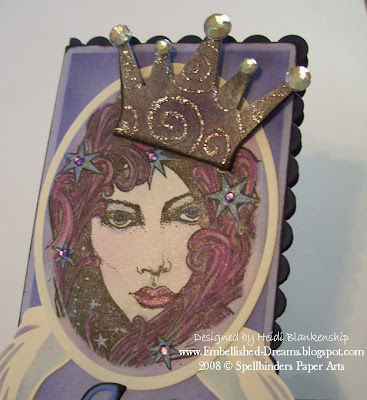 I hope to be able to share some of my Spellbinders DT projects with you all very soon. The card I would like to share with you today is a Birthday card that I made for my Dad. His birthday was April 23rd--Happy Birthday Dad!!! My Dad LOVES to garden!! Him and my Mom have several beautiful flower gardens and a veggie garden in their yard. They have even been on the Art and Garden tours. The stamped image is from RubberNeckers Stamp Company. I love trees and I think this one is going to be a favorite! I colored in the image of the tree using Copic sketch markers. 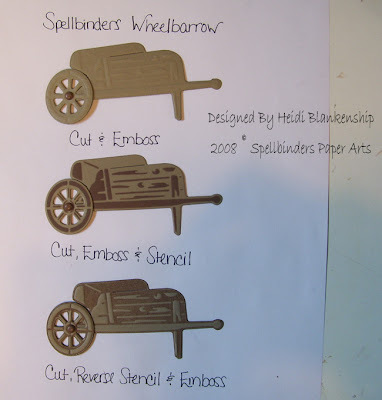 The die cuts were done using the Wizard-Universal Embossing and Die Cutting System from Spellbinders along with the Bugs die and the Wheelbarrow die. On all of the die cuts I did a NEW technique called Reverse Stenciling. 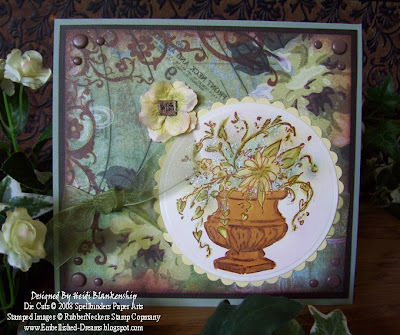 Michelle Klomp from the Spellbinders DT came up with this new technique. I will be posting a tutorial on this tomorrow, so be sure to stop back. *wink* The flowers in the wheelbarrow are rub-ons. 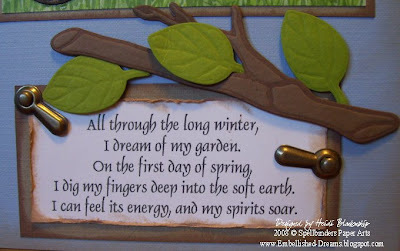 I found the sentiment at Scrapbook.com, it is a great resource for finding Quotes, Phrases, Poems and Titles for all of your paper crafting projects. Thank you so much for stopping by!! I hope you are having a great week so far and don't forget to stop back tomorrow for the Reverse Stencil tutorial!